A bathroom renovation is a huge job that can be extremely rewarding once it is finally complete. There are several steps to take and a number of different elements to consider with a bathroom remodel. Those decisions can make the renovation a stressful experience, but only if the project lacks the proper guidance. 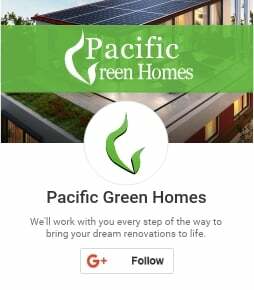 Pacific Green Homes provides the guidance you need in every aspect of your bathroom remodel; from the choice of materials to use, to the choice of each design element, to the actual construction work. We will help Encino residents with all of their bathroom remodeling plans while remaining conscious of the budget they have allocated to the project. 1. Get design inspiration for each of the new elements of the bathroom. You can visit sites like Pinterest or Houzz to get ideas for new features that you like and save them on your phone or computer. They can help designers to better understand your vision so that they select similar elements that are within your budget. There must be at least 30 inches of clear space in front of any fixture. There should be 18 inches from the centerline of the toilet to the wall or any other fixture. The minimum measurements of the shower should be 36 x 36 inches. If there is a separate room or compartment for the toilet, then it should measure a minimum of 36 x 66 inches and have a swing-out, or pocket, door. 3. Make sure to stay on budget. It can be tempting to add some extra features during the remodel process, but they can send your budget out of control. You should prepare a spreadsheet with the budget you have allotted to each aspect of the remodel, that way you can make sure that your spending remains on point, without straying too far off the limits you have set. 4. Allocate a small percentage of your budget to an emergency fund. Remodeling a bathroom can yield some unexpected surprises, like hidden water damage. So you should set aside at least 10% to 15% of your budget for any unpleasant revelations. Do choose the right surfaces. Surfaces that are durable and easy to clean are the best options. For walls and floors, porcelain is a good option, while granite and quartz are ideal for the countertop. Do consider water conservation. Water-efficient fixtures, like shower heads, faucets, and toilets sometimes have a bad reputation for not working as well as their standard versions. However, modern water-efficient fixtures work just as well, and can help lower the utility bill. Do think about storage. People sometimes neglect storage options in the bathroom and end up regretting it when they do not have enough space for toiletries, medication, or linens. Think about the commonly used items in the bathroom and make sure that your design plan includes convenient places where they can be stored. Don’t forget about ventilation. Good ventilation helps keep the bathroom fresh by quickly removing steam and unpleasant odors from the room. Ventilation is a fairly simple and relatively inexpensive process that can be performed during the renovation. Don’t neglect lighting. Good lighting is important from a safety standpoint, as well as an aesthetic one. A well-lit bathroom, makes makeup application/removal, shaving, and other common tasks easier. Good lighting also reduces the chances that someone can slip on something they cannot see and end up getting hurt. It can also make the bathroom feel more warm and inviting. Pacific Green Homes has the designers and contractors you need to realize your vision of what you want your bathroom to be. We will reduce the stress of a major renovation and make sure that your bathroom remodel is finished on-time and on-budget. Any Encino residents who finally want to have the bathroom of their dreams should contact Pacific Green Homes: We will make your dreams come true.